On a Private Tour of San Francisco, cross the fabulous Golden Gate Bridge and enter a city where you can have the experience of a lifetime. The Golden Gate Bridge may well be the reason that San Francisco is high on the list of the world’s most iconic cities. The grand engineering of the bridge is spectacular and stunning to see from afar or to take a drive over. Found on a peninsula in California’s north-west coast, San Francisco is a city that gives the feel of being a ‘village’. It is famous for being an extremely hilly city with a vibrant social and theatre scene. There are quirky and exciting neighbourhoods at every turn like Union Square, North Beach or Japantown. One of the most enjoyable excursions to take is a city tour by cable car. With San Francisco being so hilly the cable car experience can at part be nerve-wracking as you look downhill from the car. Some of the most famous street car chases in movies have been filmed on the streets of San Francisco. One of these movies is Bullitt starring Steve McQueen. 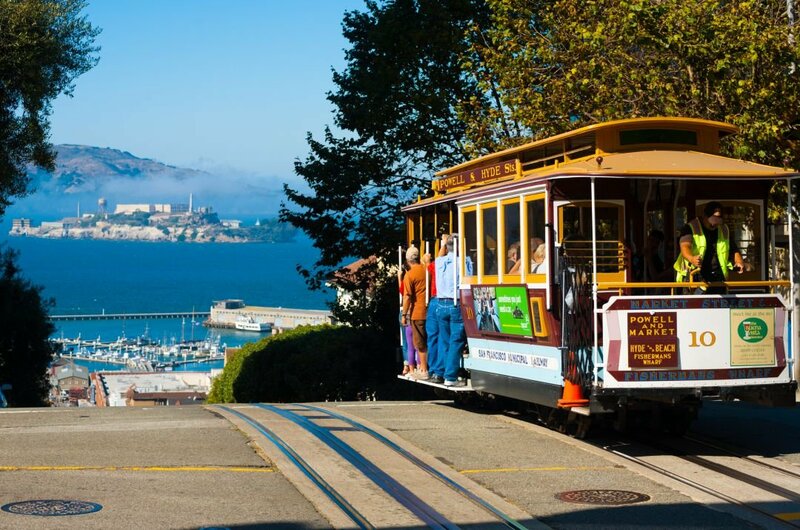 On sightseeing tours of San Francisco see such wonderful landmarks like The Golden Gate Bridge, go on private tour by ferry to the famous Alcatraz Prison or take a novel bus tour up and down the streets of San Francisco. 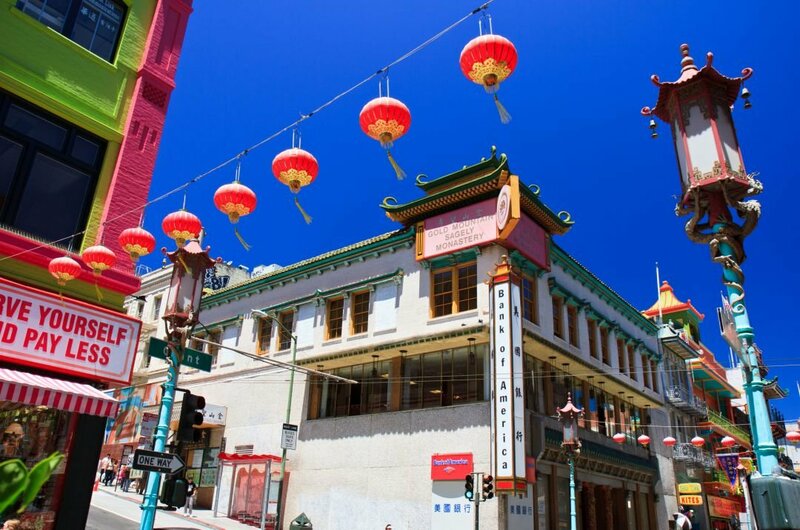 The second largest Chinatown found outside of Asia is here as well as Japantown where you get to learn the culture and traditions of these wonderful countries. The nightlife in the city is exceptional and will not let you down. There are many fabulous restaurants, bars and nightclubs to keep you busy. For live music and theatre performances, there are plenty of venues to go to. 1 While on a sightseeing tour see The Bridge that connects San Francisco to California’s northern counties. The signature Orange colour, Art Deco styling is an impressive sight. The extraordinary 746-foot tall towers and sweeping cables make this bridge the iconic landmark that is known worldwide. It is very impressive at night with the lights on. There is a Bridge Plaza for visitors at the South East end of the bridge. 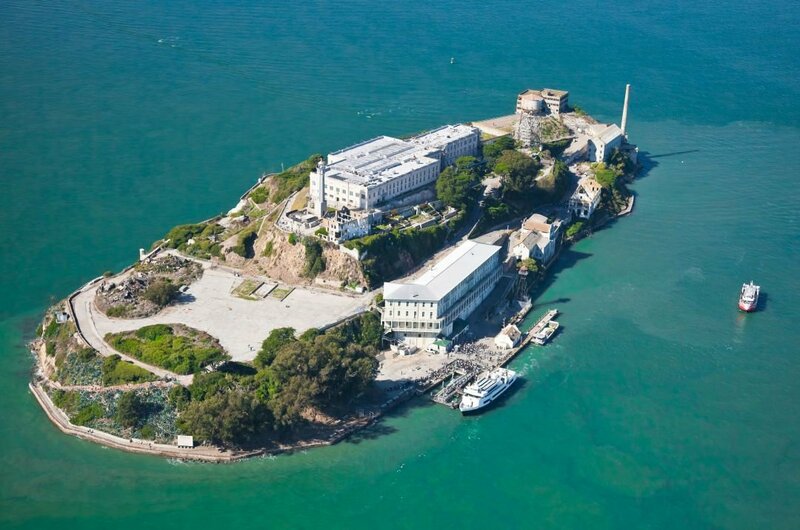 2 Take a guided tour to Alcatraz Island and see more than just the notorious federal prison, there is the site of the first lighthouse and US built fort on the West Coast of America. See also gardens, tide pools, bay views and bird colonies. When touring the prison, you will learn all about famous prisoners such as Al Capone, George ‘Machine Gun’ Kelley and Robert ‘The Birman’ Stroud. The history and stories from here are fascinating. 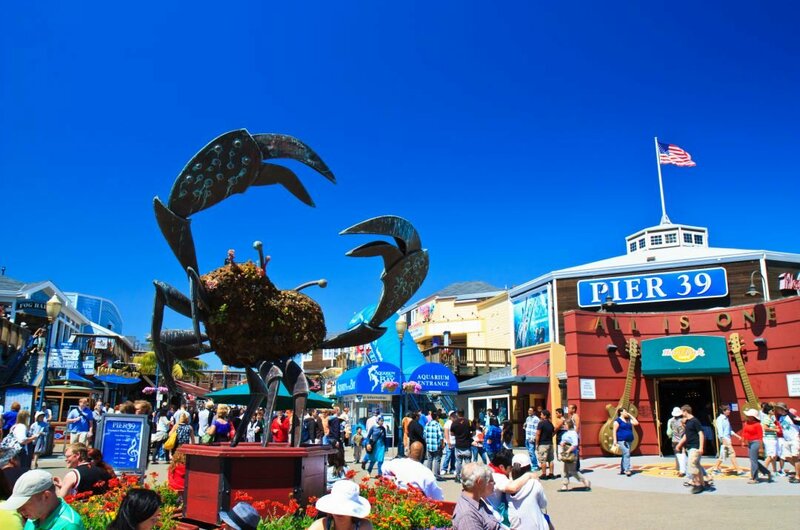 3 Take a city tour and visit Fisherman’s Wharf which is a world famous attraction. It is an important centre of San Francisco’s historic fishing industry and launching point for Bay cruises and private charters. There are many places for family entertainment such as Ripley’s Believe It or Not! museum, the Aquarium at PIER 39. The world-class shopping and restaurants all add to the tremendous experience you can have here. 4 It is, of course, possible to ride the cable cars without any guided tours but there are cable cars specifically with guides to point out the interesting places and landmarks. The first cable car started in 1873 after its British designer Andrew Hallidie witnessed a horse-car accident on the steep streets and the idea came to him. These are fantastic ways to get around the hilly streets of this great city. 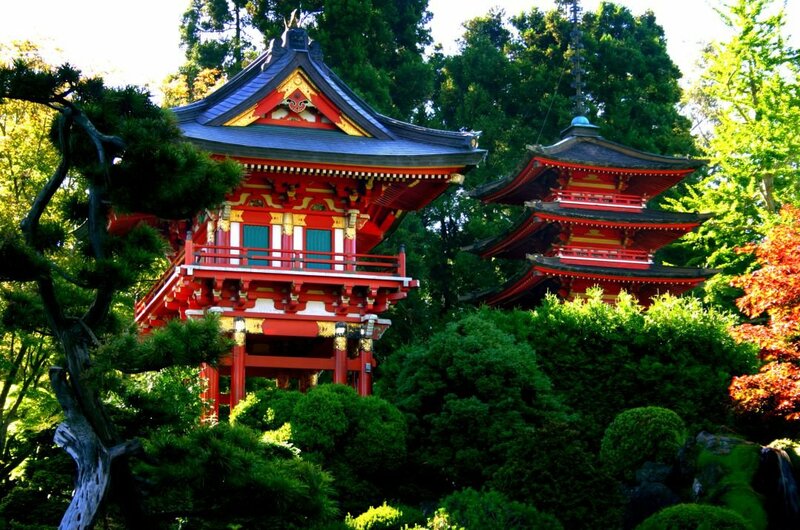 5 Experience the natural beauty, tranquillity and harmony on a sightseeing tour of the oldest Japanese Tea Garden in the United States. See such features as an arched drum bridge, stone lanterns, pagodas, stepping stone paths, serene Koi ponds, Zen garden and native Japanese plants. During March and April, to experience the Cherry Blossom trees in full bloom is beautiful. This is a very enjoyable and relaxing place to see. 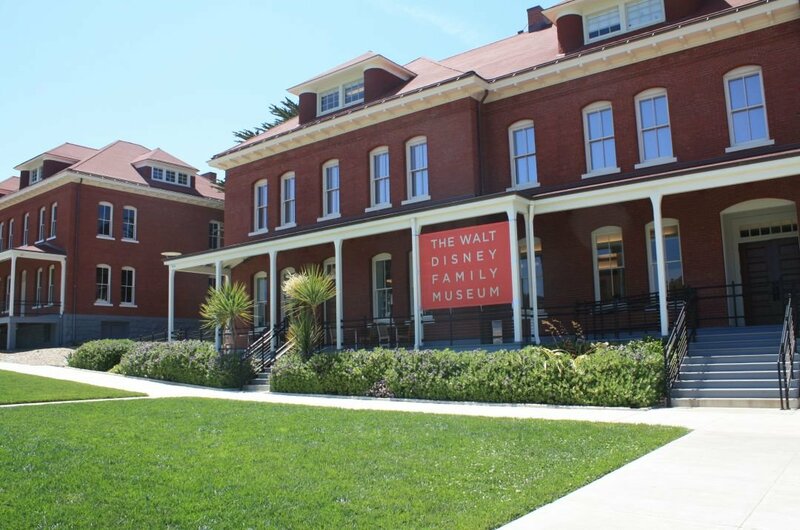 6 Take a guided tour of the Walt Disney Family Museum and learn all about the man who changed the entertainment world. Located in scenic Presidio, this museum features interactive, contemporary galleries and exhibits that are narrated with Walt Disney’s voice. See early drawings, films, cartoons and an original model of what was to become Disneyland. 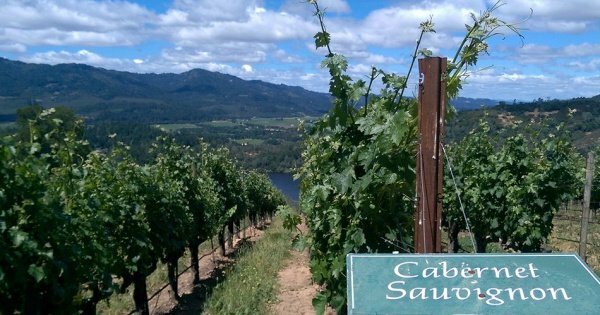 This is a great tour to take with all the family. 7 You cannot be a tourist in San Francisco and not take a trip to Union Square a landmark park located in the heart of downtown shopping and hotel district. Every fashion label is represented around this square. 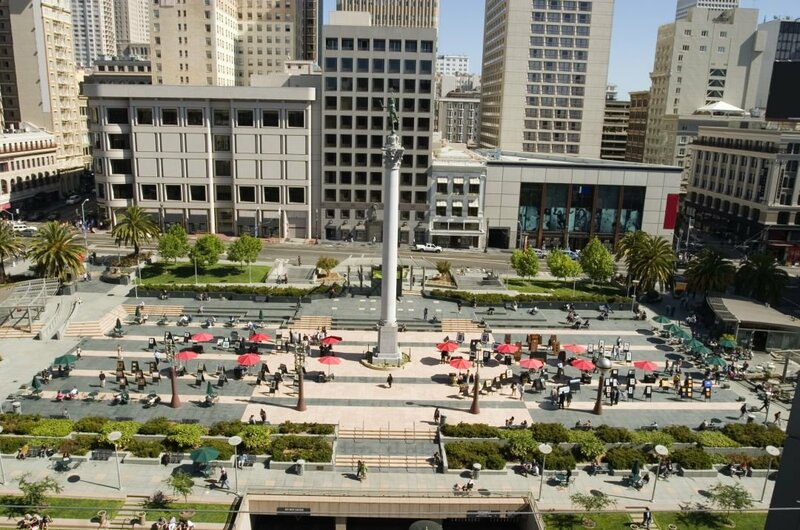 Union Square is a place for civic celebrations and has a distinctive history. With cable cars and flower stands that brighten up the corners, there are many reasons why you would enjoy a visit to this square. 8 When on a sightseeing tour of San Francisco, you have to spend time in Chinatown. This Chinatown is slightly bigger than the one in New York so is regarded as the largest Chinatown outside of Asia. You will be busy visiting the Golden Gate Fortune Cookie Factory, strolling the alleys full of shops and stalls, museums, churches and the list goes on. It is an enjoyable experience, especially for first-timers! 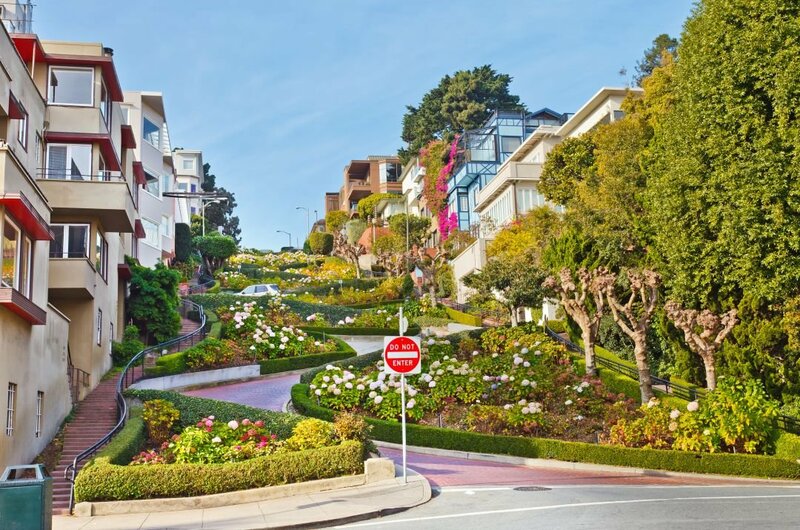 9 When you are on a city tour of San Francisco, one of the places you will be brought to is Lombard Street. Why a street you may ask? This one is distinctive and quirky so worth a visit because it is known as the steepest street in the city with eight 40 degrees hairpin turns that are zigzagged down the street. It is an extraordinary sight and it looks like cars are on a rollercoaster as they descend. 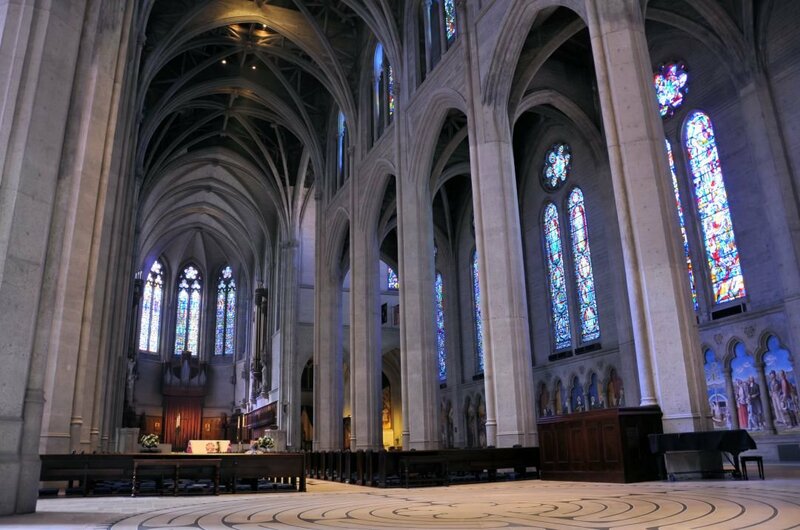 10 Take a guided tour of Grace Cathedral when in San Francisco. This Gothic style church has a resemblance to France’s Notre Dame from the front, but the interior is all its own. It is maybe simple in its design but effective with blue lights that are projected from the Stain Glass windows, illuminating the inside. The tall ceilings and pointed arches all add to the charm and character of this religious building. 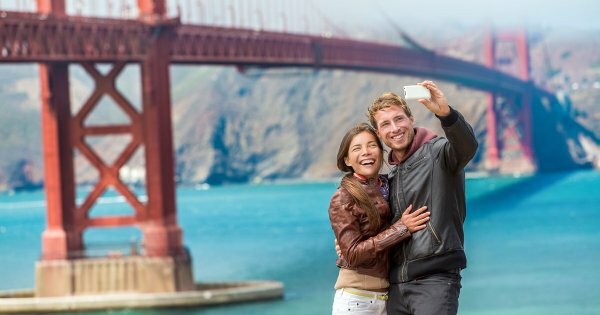 It is recommended that the best time to visit the city of San Francisco is anytime during the months of September to November. The Autumn still has warm temperatures and there are fewer crowds than the summer months. It is a better time to go on sightseeing tours. Check out when there are events or celebrations on during the year as they are always a good time to go no matter what the weather is like. There are cheap, mid-range and expensive hotels, guesthouses and restaurants all over the United States; how much you spend will depend on how much you have or want to spend. It is possible to eat lunches for as little as $5 if you are not fussy with location. A boutique hotel for one night B&B ranges from $180 to $380. The variation is due to the time of the year and peak or off seasons. The price of private tours will also vary with the seasons. Check the weather for around the time of your visit and if it is going to be cold, bring layers rather that chunky jackets. There are lots of places to walk so bring sensible shoes. Book private tours or sightseeing tours in advance of travelling and when there make restaurant reservations as early as possible. Never walk alone at night and avoid the Civic Center after dark as that is where the homeless people hang out. 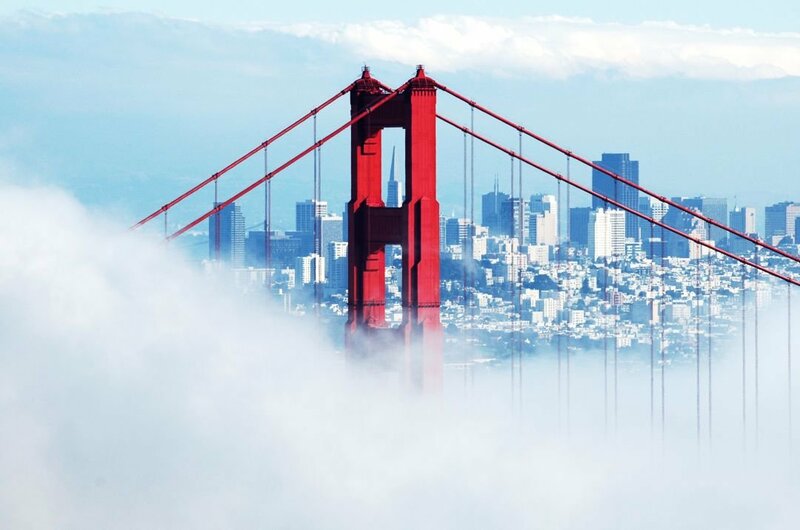 During the summer months, it can be the coldest time of the year in San Francisco with cold, foggy days and windy nights. The Autumn months are actually warmer, clear skies and less fog. The winter is reasonable ok with temperatures seldom falling below freezing and very rarely any snow, but it is very cold so come prepared. Spring is when the temperatures start to rise a bit, and flowers start to bloom. 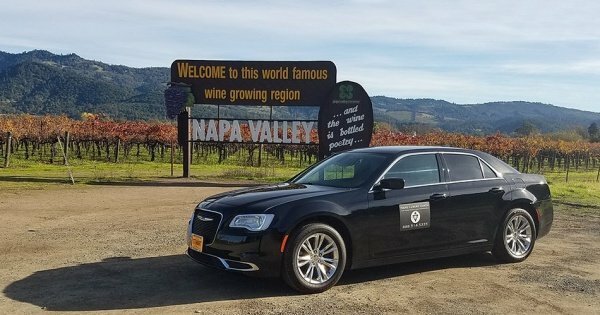 Private wine tour in a luxury sedan for up to 4 passengers. Our tours our luxurious, private and if you want educational.